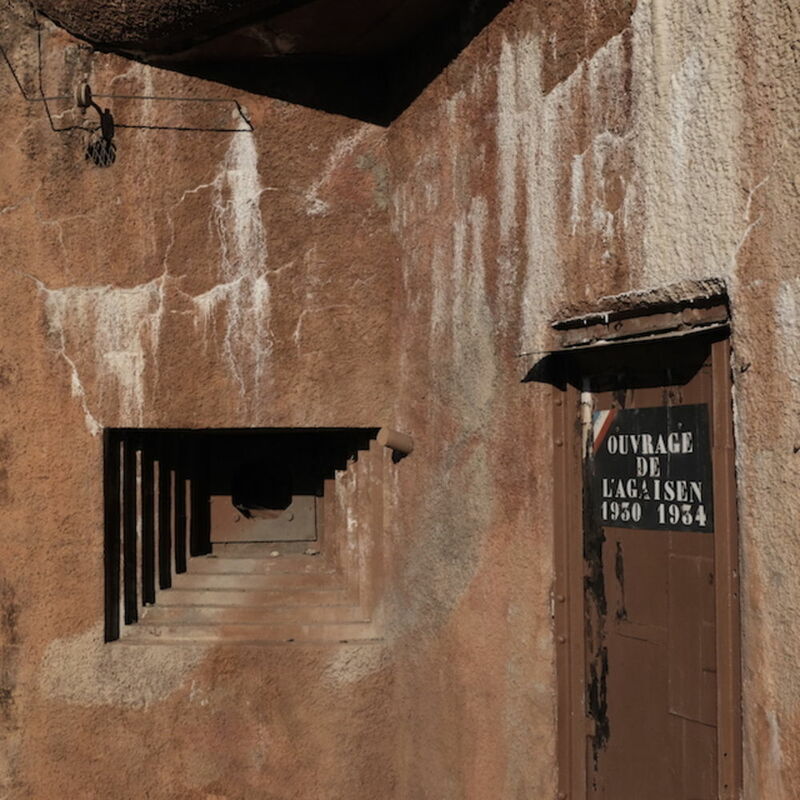 In today's Take Five, cyclist and writer Max Leonard picks five of his favourite modernist bunkers, spotted on his travels in the Alps and featuring in his new book Bunker Research, which is out now. All the bunkers we visited interacted with the landscapes around them in startling ways, the squat modernist shapes sitting in both harmony and discord with the high peaks above. JG Ballard wrote of the Nazi bunkers on the French coast that they “had survived the war and seemed to be waiting for the next one, left behind by a race of warrior scientists obsessed with geometry and death”. This one, on a high, remote pass, looks more like a UFO from an ancient alien civilisation, ready to take off again at any time. The cast-iron cupola (called a cloche) was a machine gun position and weighed several tons. 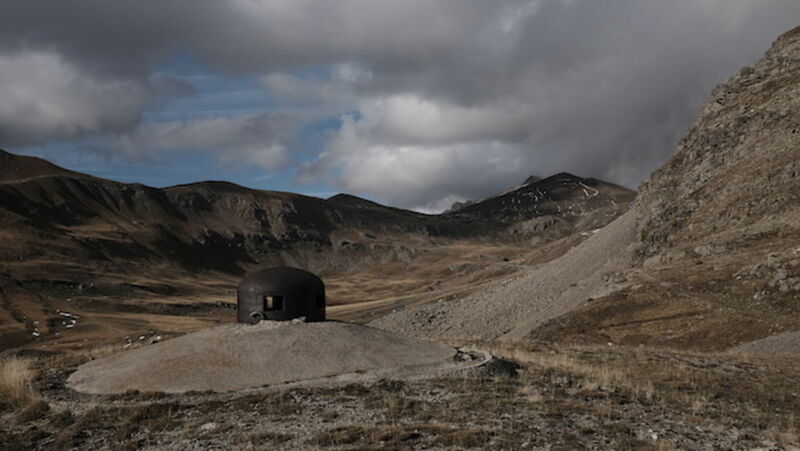 The bunkers of the Alpine extension to the Maginot Line were built by the French government in the 1930s to defend the mountain passes on the Italian border against invasion by Mussolini. Often they were appended to 19th-century forts that in the decades before the First World War had served the same purpose. As they crumble into dust they are losing their warlike aspect, and many of the sites are coming to resemble some kind of obscure Land Art. The haunted house in the background is an old barracks. 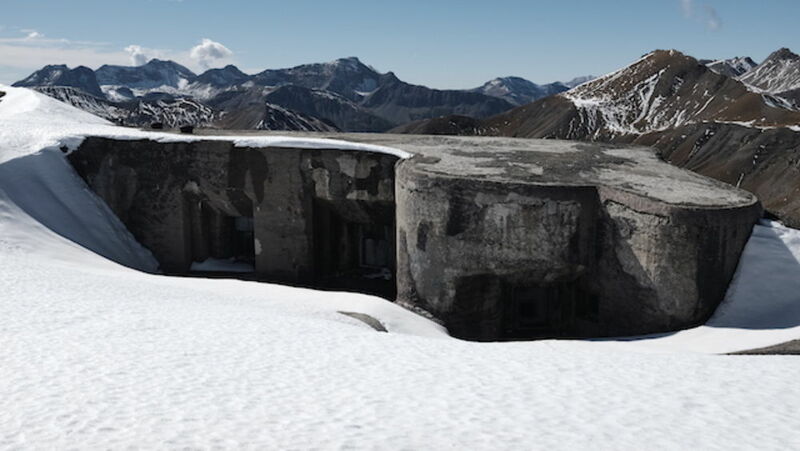 Built in 1897, it was the first French fort in the Alps to be made of reinforced concrete, and it was occupied by the Germans as they retreated in 1944. 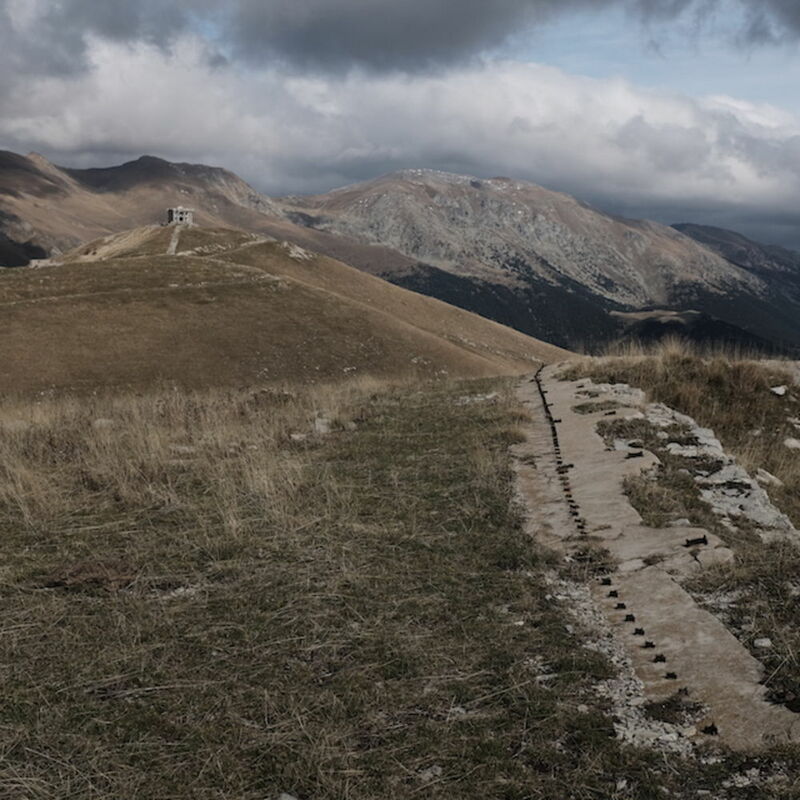 These sites are among the very few in the Alps that saw heavy fighting. The concrete for each bunker was mixed on site, and so it took on the colour of the rocks around it (though here, as in many sites, the lime is now leaching out). Some of the less well-finished surfaces bear the marks of the shuttering into which the concrete was poured and, like a Rachel Whiteread sculpture, seem to be unnaturally mimicking the grain and the knots of the now absent wooden planks that formed them. The inverse ziggurats of the embrasures are characteristic: they were designed so that any fire did not deflect inwards and injure the man inside. The bunkers are monolithic, but also childlike and gentle in their dimensions and forms – like building blocks left by an oversized toddler. The rounded edges were designed not to cast unnatural shadows, and therefore do not attract the eye from afar. However, there is also something playful and pleasing in the shapes. This is the highest point of the Maginot Line, built next to what is now called the highest paved road in Europe. 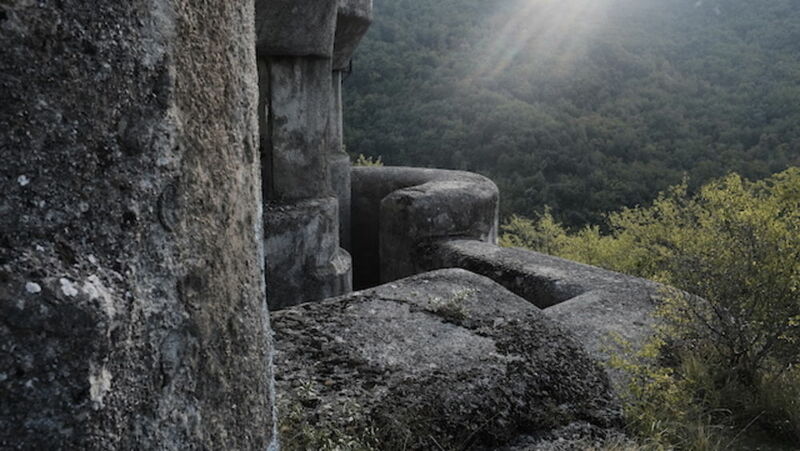 Construction was limited to around 90 days a year – the brief Alpine summer when the site was free of snow – and consequently this and other fortifications were unfinished when war broke out. It is still possible to imagine the misery of living within, under the oppressive threat of bombardment and death, and to feel the contrast between the dark discomfort and the glorious views without. More than ten years in planning and construction, these positions were only manned for eighteen months before the Germans invaded through Belgium and rendered them redundant. War is a test of opposing imaginations as much as technologies: while the technology was more than adequate, perhaps in this case the French imagination proved too romantic, or simply unable to apprehend the real threat. 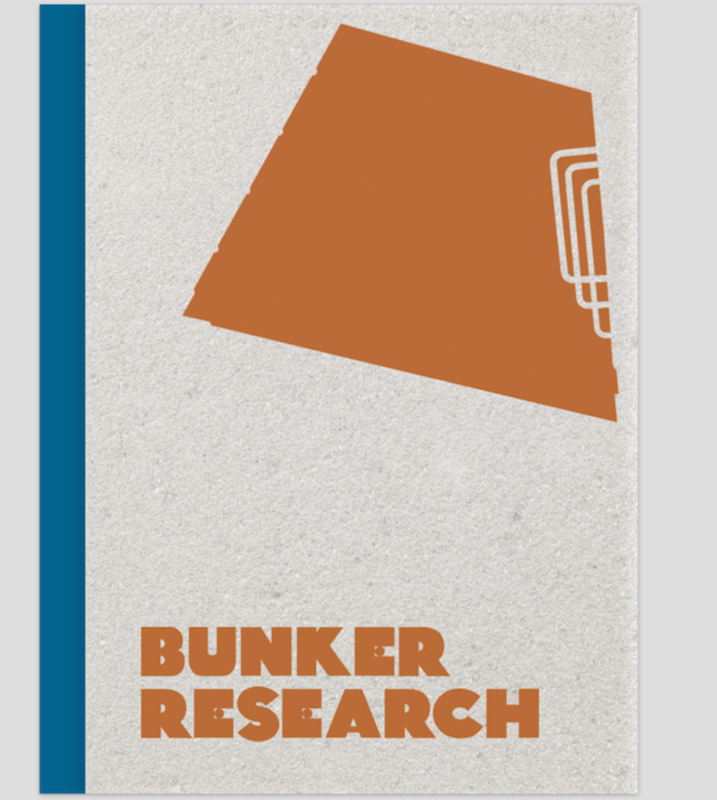 Find out more at bunkerresearch.com, follow Max on Instagram here, and buy a copy of the book here.